Samurai Japan, aiming to unite all generations of ballplayers under a common jerseys and challenge to become world champions, unveiled 18 players out of 24 of the national team comprising professional players and amateurs for the inaugural 21U Baseball World Cup in Taichung, Taiwan from 7-16 November. The remaining 6 players will be announced later. 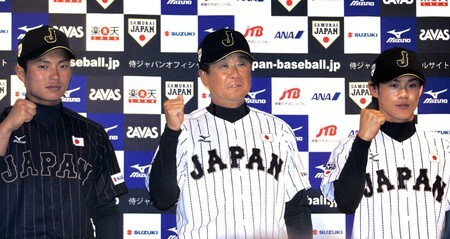 Manager Katsuo Hirata, current head coach of Osaka Hanshin Tigers minors, thanked the honor to manage the young hopefuls and pledged to win the championship. J-Sports, the largest sports TV stations in Japan reaching out to 7 million house holds, will broadcast all Samurai Japan’s games live as well as on internet. The Baseball/Softball family under the World Baseball Softball Confederation (WBSC) along with other sports federations, are awaiting the outcome of the International Olympic Committee's review -- to be announced in December at a special Session in Monte Carlo -- on the process for adding/dropping sports to the Olympic programme, which may allow a new opportunity to have the bat-and-ball's Olympic status restored in time for inclusion at the 2020 Olympic Games in Tokyo, Japan, where baseball and softball are leading national sports and are supported passionately at all levels of Japanese society. 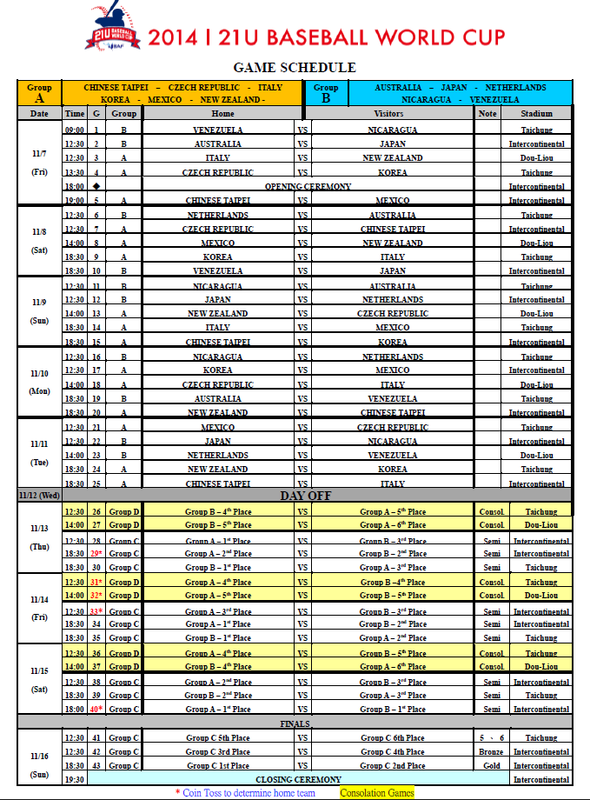 Forty-three games have been announced by WBSC for the 2015 21U Baseball World Cup, which will be centred around the modern venues of Douliu Baseball and Taichung Intercontinental Baseball Stadium, the latter of which will host the Opening and Closing Ceremonies.